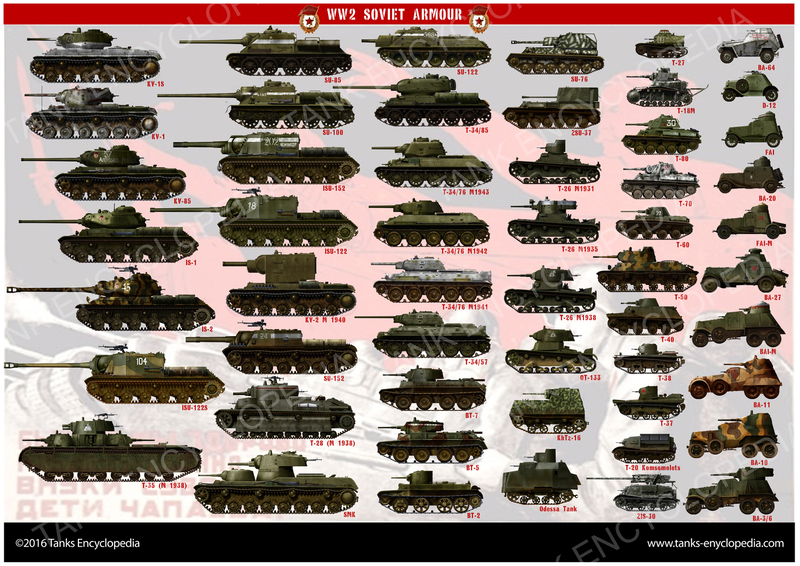 The lineage of the SU-85 and SU-100, some of the most feared tanks destroyers of the war, can be clearly established straight from the huge production line of T-34, back in 1942. Both the T-34 and the KV-1 were deadly opponents form most German tanks of the time, until the arrival of the Tiger on the battlefield, in late 1942, although in limited numbers. The situation worsened with the coming, just in time for the battle of Kursk, of the new Panther tank. It became clear that their long-range knock-out power was devastating and Soviet confidence over its own standard 76.2 mm (3 in) gun shattered, as it was unable to pierce German armor at safe range. However, the few 52-K 85 mm (3.35 in) AA guns available then, newly provided on the battlefield at Kursk, proved lethal as antitank weapons, in the style of the German 88. After several reports, the general staff specified that a specially crafted self-propelled gun carriage was to be built around this high velocity gun. 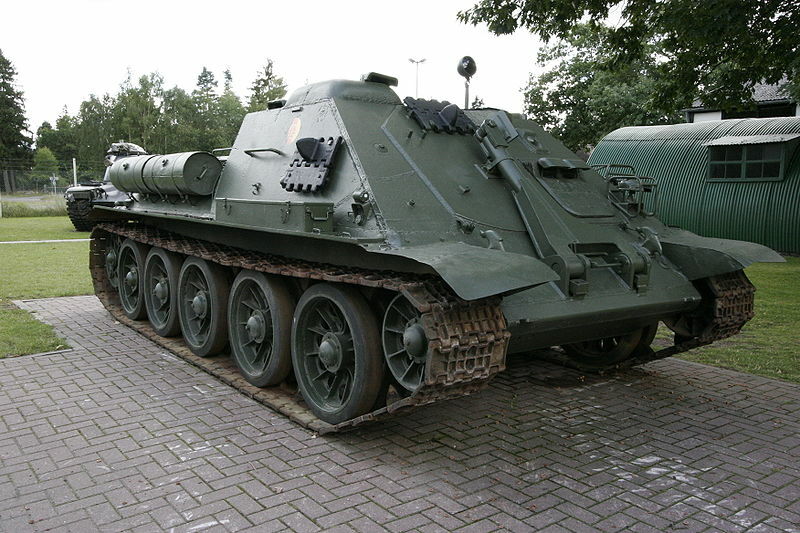 Called “Samokhodnaya Ustanovka” or “SU” (self-propelled carriage), with the successful D-5T high velocity antitank gun, from which it got its name, the SU-85 was in fact a provisional measure, being provided in a hurry in large quantities, waiting for the new T-34/85 to arrive. 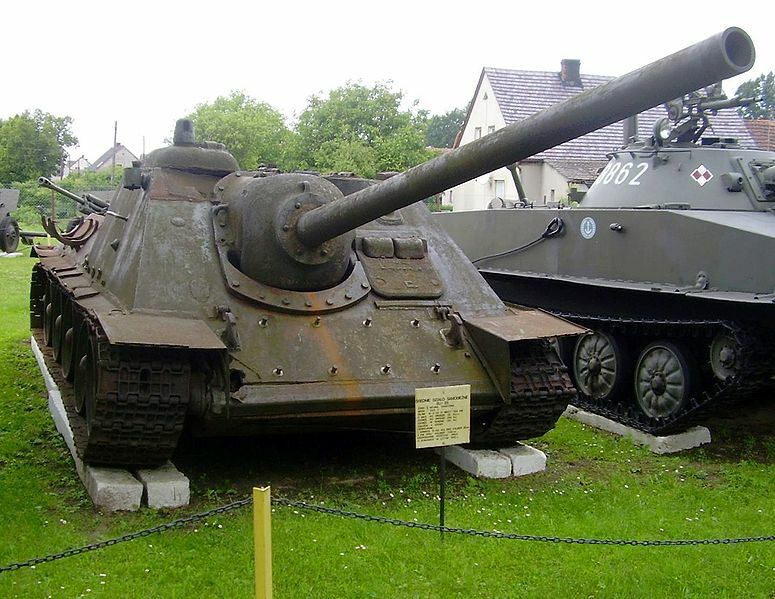 For this purpose, the SU-85 was based on the SU-122, a 122 mm (4.8 in) howitzer gun carriage, itself based on the T-34 chassis with a fixed superstructure, far easier to built, and presenting a low profile. 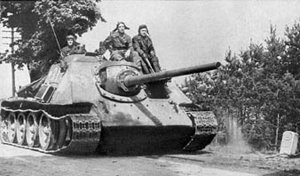 German tank destroyers, like the Sturmgeschütz III and, later, the Jagdpanther, also served as an example. It was the beginning of the casemate-style turretless hulls in Soviet service. Thorough tests, based on a modified SU-122 gun carrier, were executed with a derivative of the 85 mm (3.35 in) AA gun. This gun was completely refitted for antitank service, under the name of D-5S. The Uralmash factory, which already built the SU-122, rejected the new design as it took too long to convert for mass production in this new configuration. The factory directors were convinced and, after many trials and several rejected testbeds, the last prototype equipped with the D-5T was approved for production in May 1943. Uralmash produced more than two thousand SU-85 until further orders were cancelled in late 1944. It was immediately replaced by the SU-100 and, later on, new tank destroyers based on the IS-1 proved more than sufficient for the task. The SU-85 was designed by Lew S. Trojanow on the body of the SU-122, using 80% of the regular T-34. The suspensions, of the Christie type, were unchanged, with a 500 mm (19.7 in) ground clearance. The engine was the reliable V-2 diesel 12 cylinder of 493 hp (368 kW), which gave a 16.65 hp per ton ratio. Nominal fuel capacity was 540 liters, later extended to 900 liters with four additional fuel tanks. 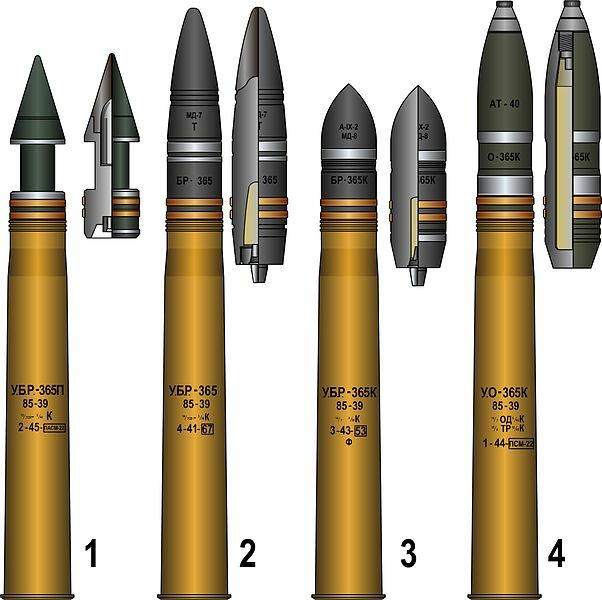 Maximal operational range 248 miles (400 km). 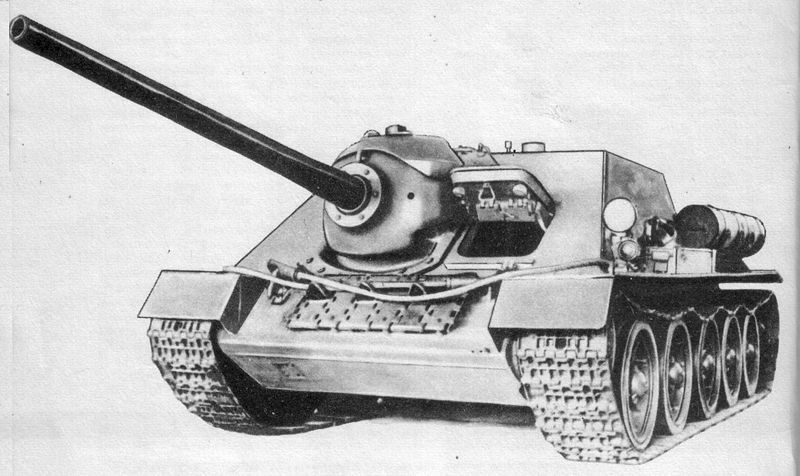 Weighing 29.6 tons, it was one ton lighter than the SU-122, but four tons heavier than the early production T-34/76. Production was relatively easy due to the simpler, turretless hull. The crew was four, all sharing the same forward compartment. There was no coaxial or AA machine gun. Armor arrangement was basically the same as the SU-122, with a 45 mm (1.77 in) frontal glacis and 30 mm (1.18 in) side and rear slopes. 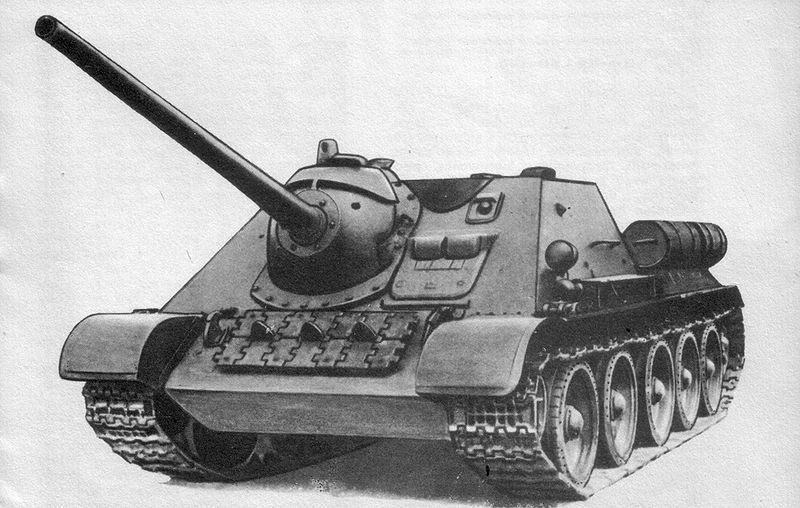 The SU-85-II was the final preseries prototype, equipped with the new D-5S gun, fixed commander cupola with TSh-15 sights and a new improved ball mantlet design. In early 1944, the SU-85M came into production with the new sloped casemate designed for the SU-100 and reworked ball mantlet. It also shared the large scale production commander cupola of the T-34/85. Some SU-85s were also converted for recovery. The SU-85-III was the last production model, equipped with a new commander cupola with direct covered vision slots. Only a few were built. Long after the war, in 1960, the Polish modified their own SU-85 and converted them into ARVs (armored recovery vehicles) under the name of WPT-34, as well as many T-34s and SU-100s on the stocks. They were still in service in 1990. The first SU-85 reached operational units in August 1943, just in time for the exploitation of the Kursk victory on the Eastern Front. All these machines performed well, in coordination with regular tanks or in “flying hunting squads”. They were spread on the front with command tanks and dispatched when hard-dying Tigers or Panthers were encountered. However, as production standard was average, with extensive, exhausting long runs, many experienced breakdowns. Early production SU-85, Voronezh front, October 1943. It was a painful conversion of the SU-122 howitzer self-propelled carriage and the first large-scale production tank destroyer in Russian service. Its main 85 mm (3.35 in) D-5S gun was derived from the anti-aircraft 52-K.
A SU-85 with a provisional white livery in February 1944. In some cases, just like the T-34, shortages of rubber bands meant that some tanks were offered full metal wheels – a provisional measure which lasted long. These quickly deteriorated the track links. Most of the time, a full set of metal wheels were given, but sometimes also a single pair, or the reverse solution. Practice showed that mixed fittings were not always a good choice. Captured SU-85s in German service (BeutePanzerjäger SU-85 748(r)) were not uncommon in 1943-44. Many such vehicles were disabled and evacuated by their crews, then towed and repaired by the Wehrmacht, which tried to replace depleted units. These kind of captured tank hunters were highly praised, and were given very large Balkankreuz for identification, as a custom camouflage. Here is an Ukrainian steppe summer livery for this Beutepanzer SU-85(R), which fought with the XXIIIrd Panzerdivision. SU-85M, Seelow heights, March 1945. TBiU Su-85 prototype. Official photo archive. Do you happen to know where an SU-85 or SU-100 may be on display anywhere? Or happen to know where one could buy a V-2-34 engine? 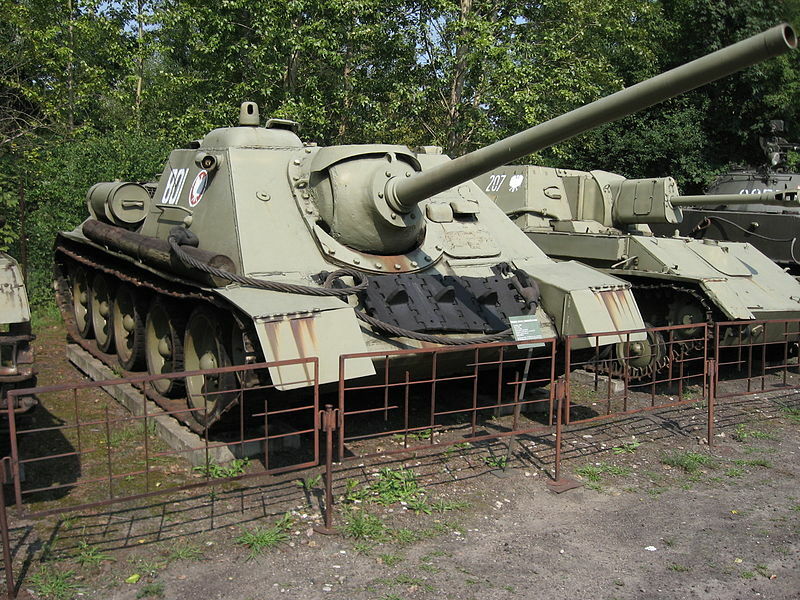 Eastern Europe and Russia are full of SU-85s and SU-100s in museums or as monuments. There are quite a few in collections all around the world as well. Do you want an answer for a certain country/area? I was just wondering, I am in Scotland. Personally I just love this tank on so many levels, from its looks to its specs it is just amazing. One of the things I NEED to do before I die is sit in one. If I can drive or own one, well I could die happy 😛 Thank you Stan, Do you know where abouts I could maybe go see one in person at a museum or sit in one at a private collection I could email the owner about that you know of?